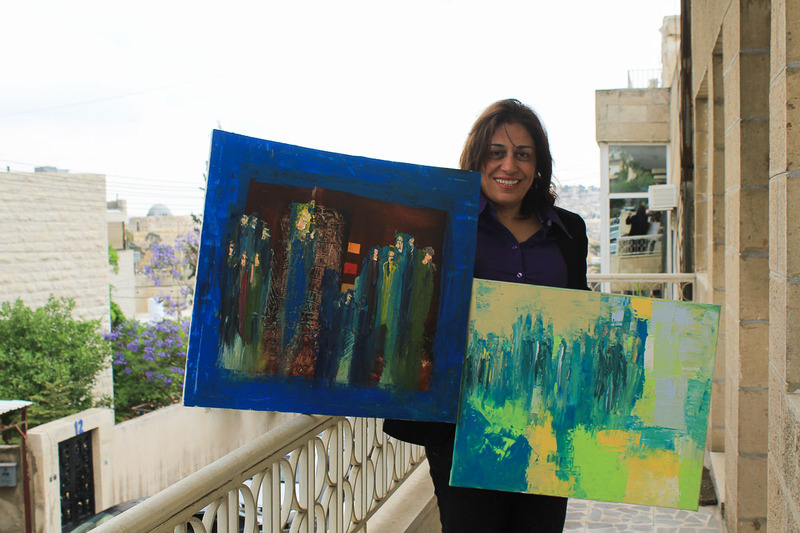 Rana Safadi is a local Jordanian artist with the aim to promote Jordan’s culture scene. 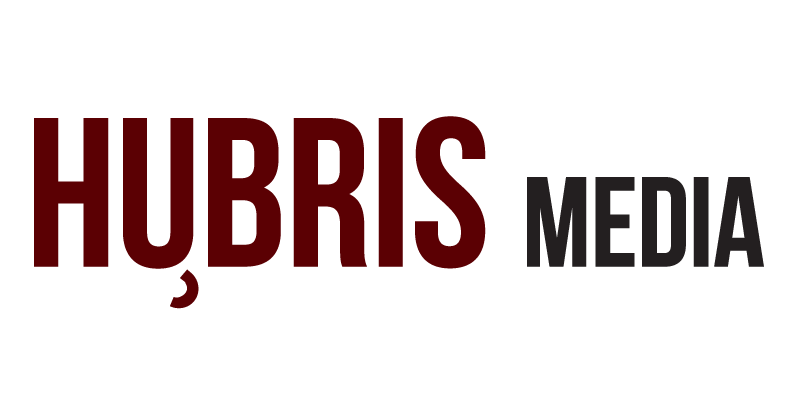 Perceptions of the Middle East are often clouded by social and political conflicts, overlooking the region’s wealth of literature, history and artistic prowess. Propped up by negative media, the Middle East faces a constant battle between stereotype and reality. Determined to crack these misperceptions is Rana Safadi, a Jordanian artist enchanted by Arab culture. A personal favourite of the Jordanian Royal Family, Safadi’s artwork was chosen by Queen Rania to flaunt the beauty of Amman in front of UNESCO Goodwill Ambassadors at Paris’ Night of Jordanian Treasures. In the meantime, she has captured the attention of both the European Union National Institute for Culture, where she was the cultural project manager and the US Embassy in Amman. “[What started my career in art] was a passion for beauty, the detail, everything you see around you, and how you can capture something nice, even if the surroundings are messy,” she said. Safadi’s artistic inspiration could not be poignant than in the Middle East, where hidden beauty can so often be found between conflicting tribes, countries and leaders. The artist firmly believes that, amidst ongoing hostilities, art carries an important role in inspiring hope. Rana believed in the power of art to create inspiration and promote Jordan. “In the radicalism of what is happening around us in the region, you want a new voice, a keen voice, a positive voice. This is the voice of art,” Safadi said. 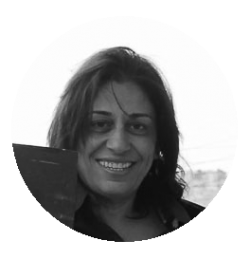 Whilst Safadi focuses her work on her birthplace Amman, she believes that the entire Middle East is united by a powerful Arab culture, founded on the architecture, literature, art and over six-thousand years of history from the region. The artist celebrates this enduring culture in her book Letters of Gold; her choice of title is inspired by the oldest surviving Arab poems, dubbed the ‘Golden’ poems, which were written on the walls in gold leaf to show the calligraphers’ unconditional respect towards ancient poetry and culture. 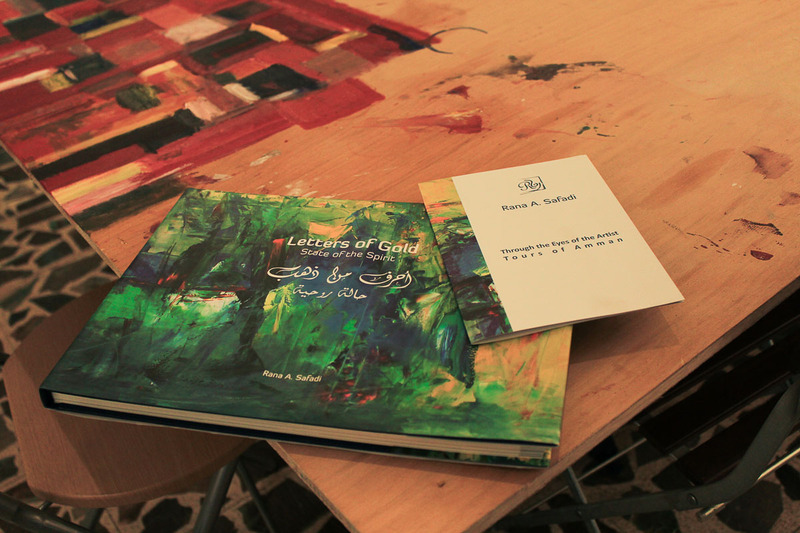 “My book is a love letter to Amman, to its culture, to its art. Amman is part of Jordan and Jordan is part of this big, cultural Arabic civilisation,” Safadi said. Rana also delves into the art of photography aiming to promote cultural tourism in the country. 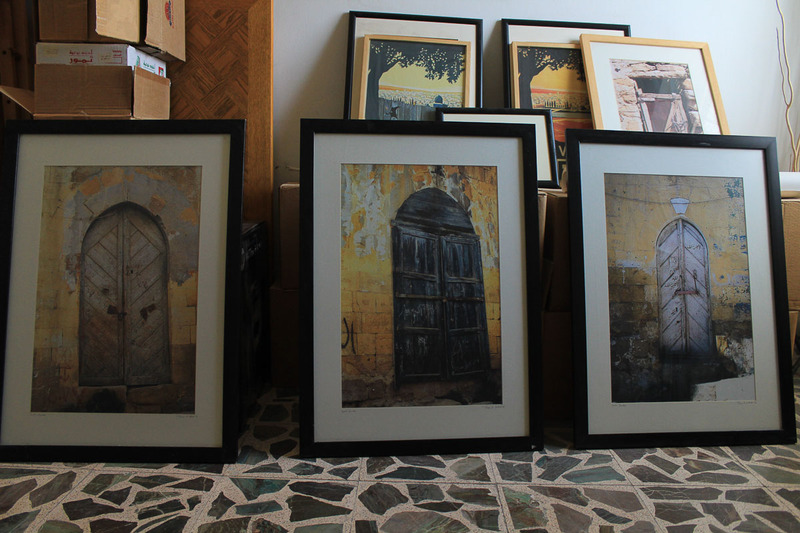 Beyond art, Safadi welcomes individuals to the Arab world on a personal level. In her spare time, she has set up a small business offering personalised tours throughout Amman, outside of the common tourist route and catered to the individual’s interests. With her expertise, passion and local knowledge of Amman’s culture and history, Safadi’s tours are unique to any other. “Sometimes people are interested in an old town stroll. So we go to downtown and have breakfast in a traditional café, and then walk towards Al Hussein Mosque, maybe explain a bit about its background, and then continue to the theatre,” she explained. Safadi has always expressed her thinking in a creative manner. Knowing that it would be easier to explain her thoughts visually rather than through the written word, she shifted from writing to photography, and later in her career, to painting. Yet, the culture she so greatly adores often imposes harsh challenges on her work. “In the Arab world, there is not a visual culture. It is a culture of oral history and reading, a lot of poetry and the Qu’ran,” she said. 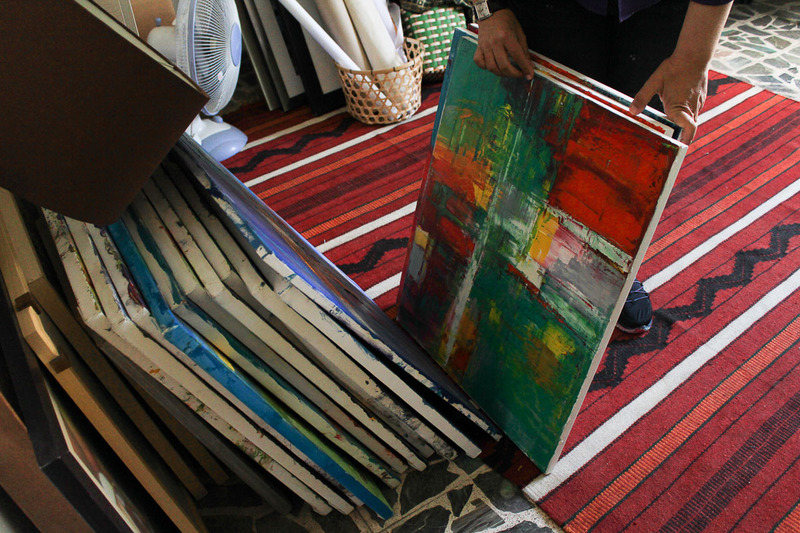 Just as economic hardships limit the spread of artwork to only the wealthier classes, Safadi recognises a similar problem within Amman. 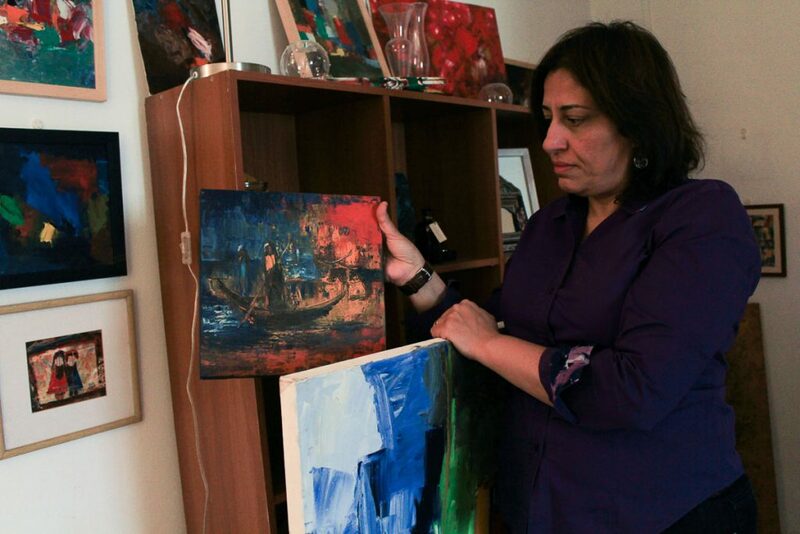 Whilst the artist believes that the increasing number of foreigners in Amman is making the city more diverse and welcoming, she admits that opportunities for cross-cultural interaction are only available to the middle and upper-middle classes, rather than the lower classes, because of language barriers. In Jordan’s smaller cities, art and cultural events are not so readily available. 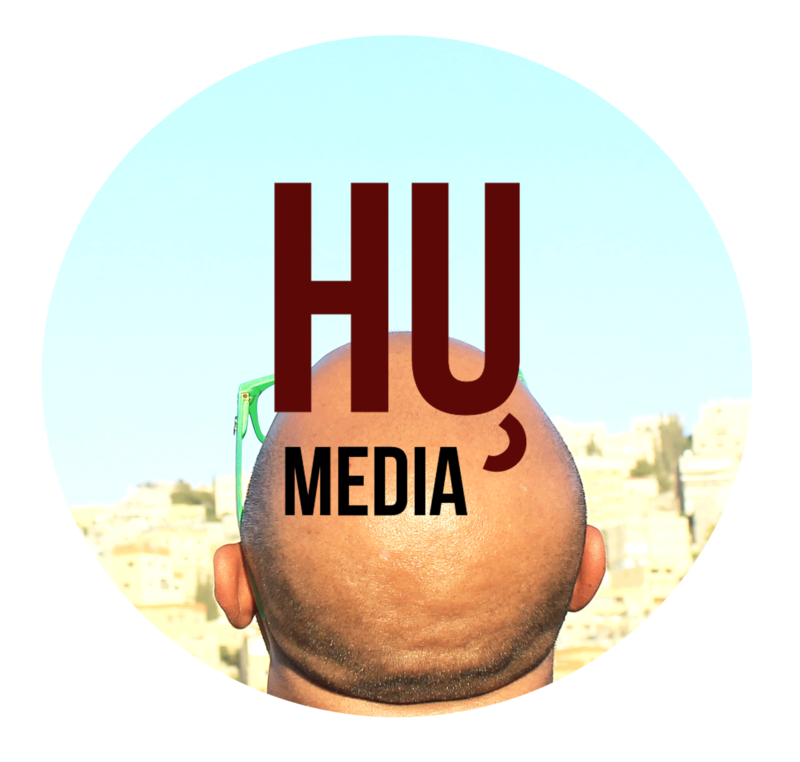 “When you go to a cultural event in Amman, the same people keep moving around […] You rarely see people from poorer areas or from outside of Amman. There is Amman and then the rest of Jordan, except for some big cities like Irbid and Salt,” Safadi said. Rana said she saw progress in Jordan and felt the culture had evolved greatly. Despite such limitations, Jordan is a progressing country; according to the country’s Department of Statistics, illiteracy rates dropped by 4.2 percent between 2000 and 2006, although the cities suffering from the lower education standards are those such as Maan and Mafraq — far from Amman. According to UNICEF, almost ninety percent of women and men attending secondary education. Positive social changes have taken effect too, making Amman a more creative and liberal community, as Safadi speculates. “Women didn’t use to be able to sit in a café or restaurant; now you have people sitting in a café, with a laptop, talking integrating: all this helps with creativity and being free and expressing yourself,” Safadi said. “The new generation has a lot of exposure that the older generation did not. This is very positive: there are a lot of schools of design and architecture all around Jordan,” she added. Safadi is optimistic about the future of art in Amman; as the number of art graduates increases, competition intensifies, and the standard of work continues to improve. Although competition and the need to develop grow, Safadi finds it crucial to stay faithful to one’s identity, whilst appreciating other artists. “Don’t think all artists are nice; sometimes they are more egotistic than most people,” she said. As well as aspiring to exhibit her work outside of Jordan, Safadi also understands the need for travel in her career. “You cannot learn in your own space; you need the physical feeling of new places. Travel inspires me; you get inspired by new energies, new visuals. Most of the time when you travel, you become refreshed,” she said. The artist is also wary of comparing her success to others’ and trying to emulate the same formula. Instead, she believes there is no formula for success. “You have to think out of the box a little bit, you have to be more creative. You cannot be stuck watching people and think you will succeed if you do the same thing […] Maybe their attitude is different, or the area where they opened the shop was better,” she said. Rana Safadi is a local artist based in Jordan. She is also the author of her own book Letters of Gold covering a range of her artwork inspired by old-time poetry. 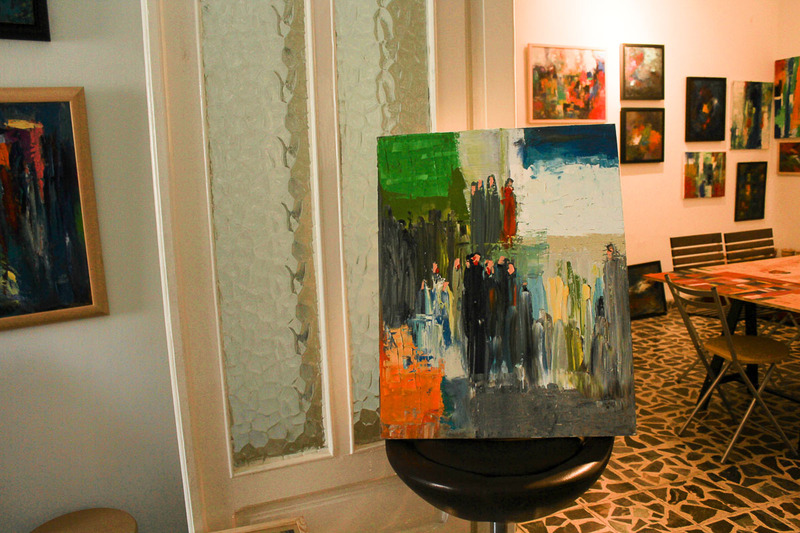 Rana also runs a freelance cultural tourism business, showcasing tourist the cultural side of Amman — which includes taking people to art galleries and well-known cafes. She believes in bringing people together from art and wishes to build a connection amongst the community.